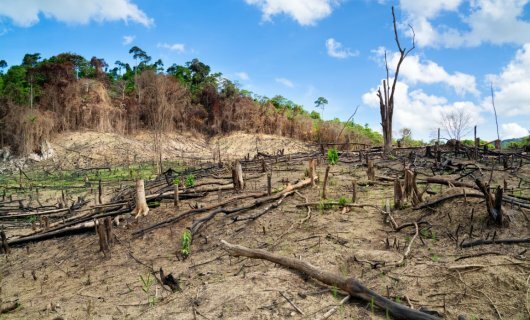 As human activities continue to expand globally, we increase the rate of habitat fragmentation and biodiversity loss and further the encroachment of human populations in previously wild areas. Since the diversity of parasitic organisms likely correlates with the diversity and abundance of hosts they live in, these actions may increase the exposure of people to novel infectious agents from wildlife. In a new paper published in the Journal of the Royal Society Interface, IDReC researchers David Wilkinson, Jonathan Marshall, Nigel French and David Hayman present a theoretical framework based on the species-area relationship to link the exposure of people to novel infections with habitat biodiversity. The authors model changes in human exposure to microbes through defined classes of habitat and apply the model to African tropical forests as an example. Their results suggest that it is possible to identify high-risk areas for the mitigation and surveillance of novel disease emergence and that mitigation measures may reduce this risk, while conserving biodiversity.